On Wednesday 4th May Class 3 visited kelso races. 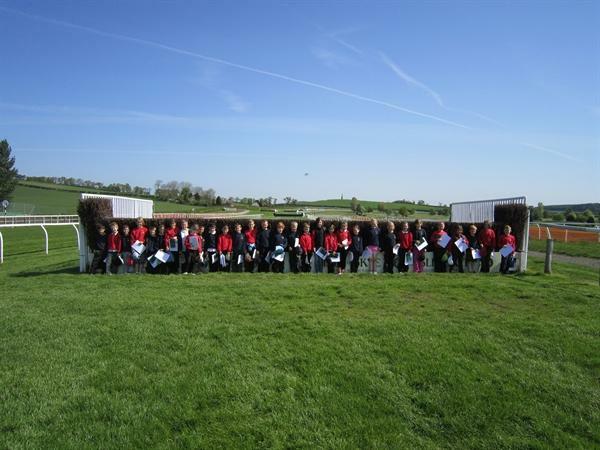 They had a wonderful day learning about the course, how high the fences are and how far out the horses jump. They worked out how big the parade ring needed to be for the number of horses in the race. The children saw the weigh in room and the jockey's silks. Then after a well deserved lunch they watched the first two races. Everybody thanked the people at Kelso Races for our special invitation and we made a book to send to them about our day.